It's hard to believe that a high-end smartphone can cost only $199 without contracts and carrier subsidies. Nexus 4 was released last year and its specs don't look that great when you compare it with phones like HTC One or Samsung Galaxy S4, but Nexus 4 runs the latest Android version, it has a smooth interface and many developers use it to test their apps. From $299 to $199, Nexus 4 managed to become the first high-end smartphone that costs less than $200 off contract. 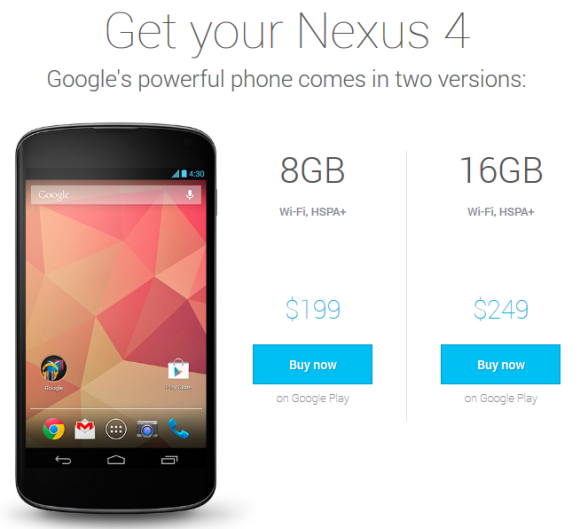 Google's previous Nexus phones used to cost about $529, but Nexus 4 changed all that. 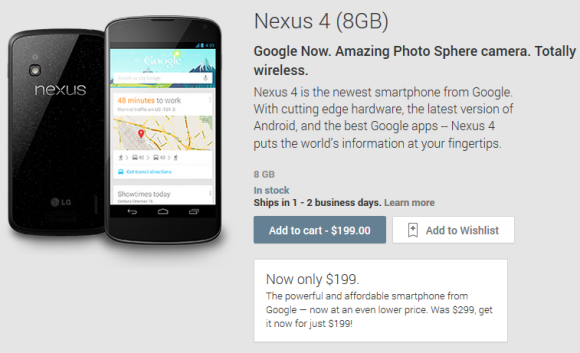 Google subsidized the phone in an effort to make the phone more affordable. It's amazing to see how much has changed since 2010, when Google released the first Nexus device: Nexus One. Hardware has improved a lot, Android has a great interface, Android apps are better, Google built a content store, Android is the leading mobile OS and you can buy powerful phones and tablets for about $200 (full price).